You may have seen a few sneak peeks across our social media pages, but we thought we’d share with this exciting new launch with you on the Craft Blog too! Our new stationery range Hoshi is here, just in time for all the Back to School fun. 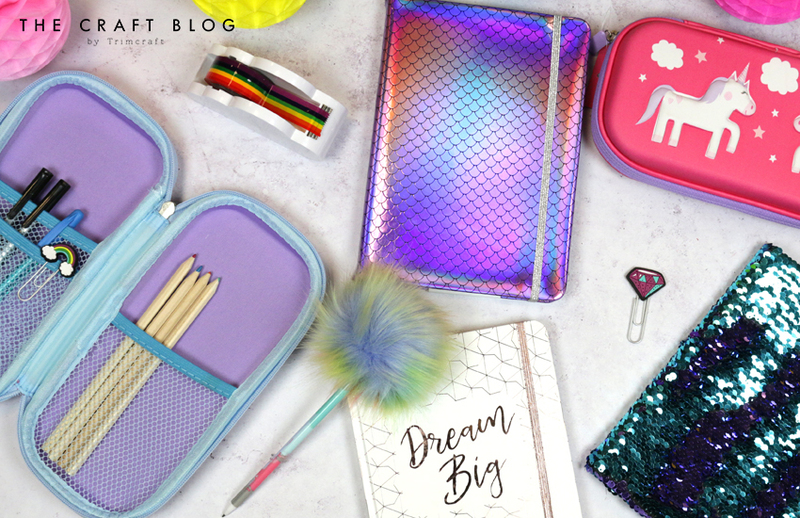 With an amazing selection of unique notebooks and pencil cases to choose from, we’ve got just the goodies to help you spice up your stationery – whether you’re looking forward to starting a new term, or you’re looking for the perfect accessories to raise your office stationery game! We’ve also got three wonderful hard shell pencil cases for you to choose from. If you’ve got footie fever, then you’ll love our football-inspired pencil case! And we all know a unicorn fan! This is a must-have for any unicorn lover, featuring a bold and bright 3D design. Love llamas? No prob-lama! We’ve also got this adorable design. What do you think to our Hoshi stationery range? Don’t forget to let us know in the comments below and head to Ryman to get your hands on your pencil cases and notebooks! Great to see something different and such fun too.